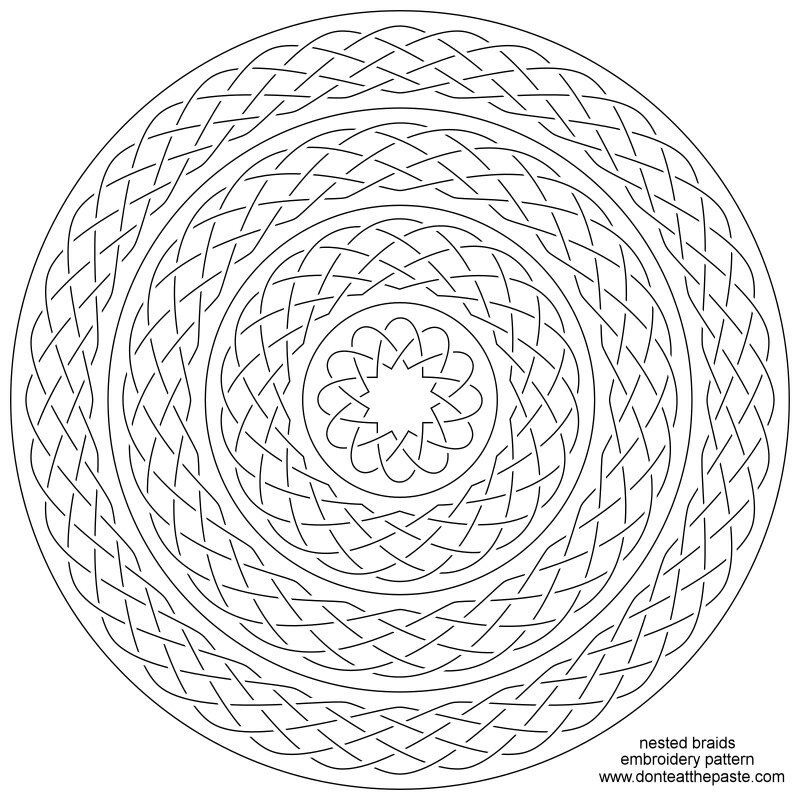 Nested braids coloring page and embroidery pattern- the outer 3 braids are 6 strand braids and the center is a 3 strand braid. 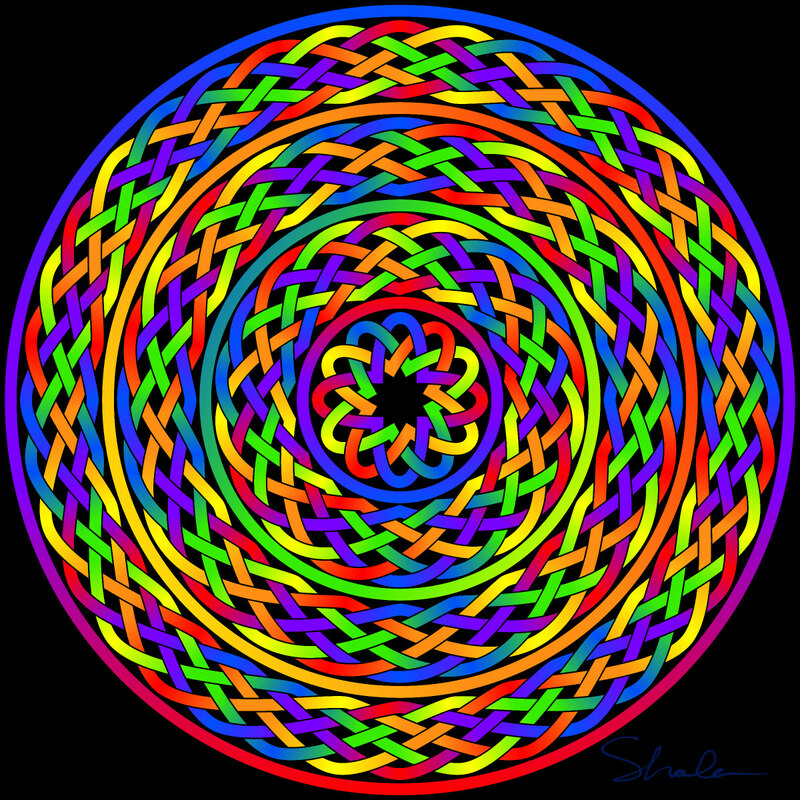 Click the images for a larger version and print. If you embroider, both the embroidery version and the coloring page can be embroidered, but the embroidery version is simpler. 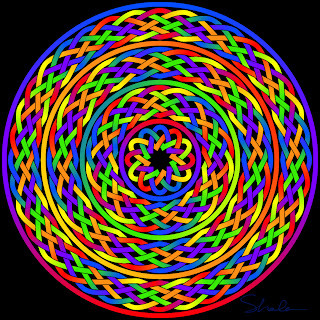 The 4 braids can be used as frames or accents singly or all together as shown. 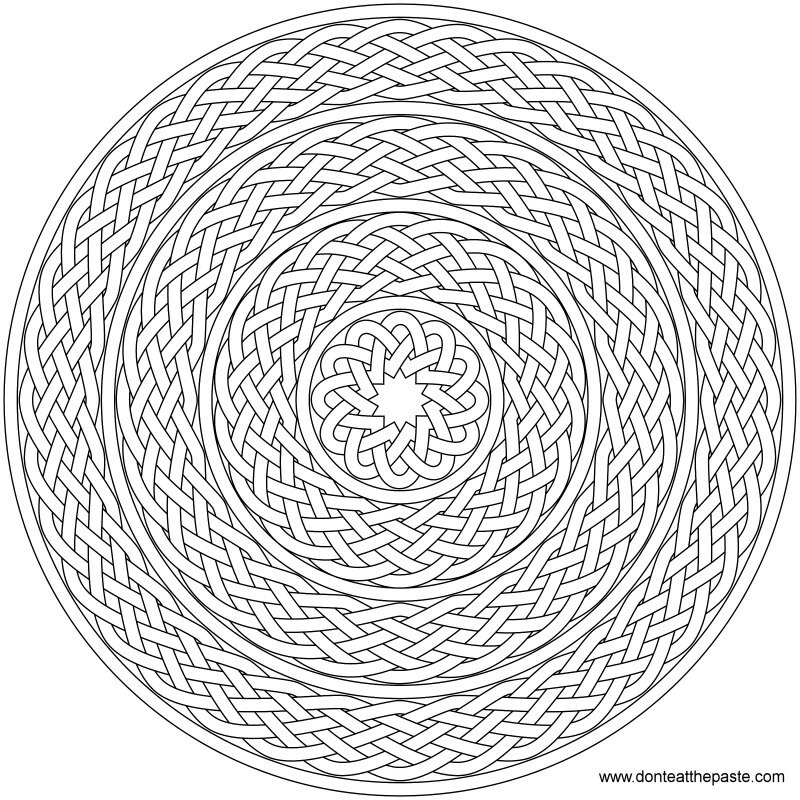 Braids can also be considered knotwork and look very similar. I absolutely love this!!! 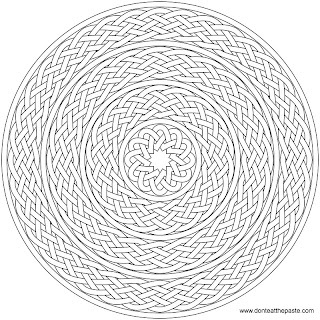 Might have to figure out how to bead something this intricate! great job Shala! As usual you rock! 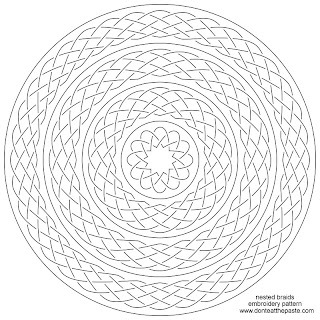 I love your mandalas and you gave me hours of fun, focussing and beautyful result. You rock,, please continue your Lovely work!! !